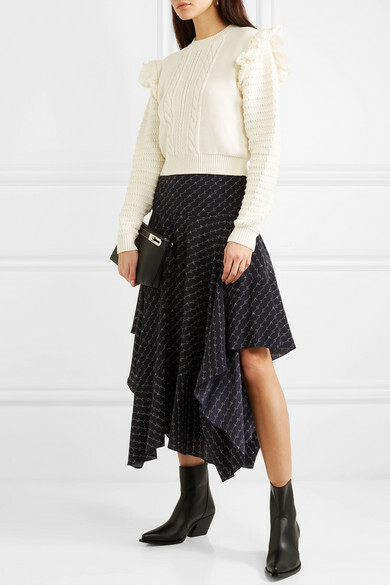 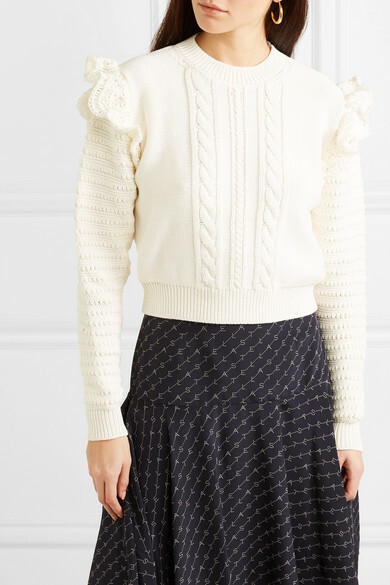 Stella McCartney's sweater is paneled with traditional cable knit, ribbed trims and crochet ruffles which make the classic shape look really fresh. 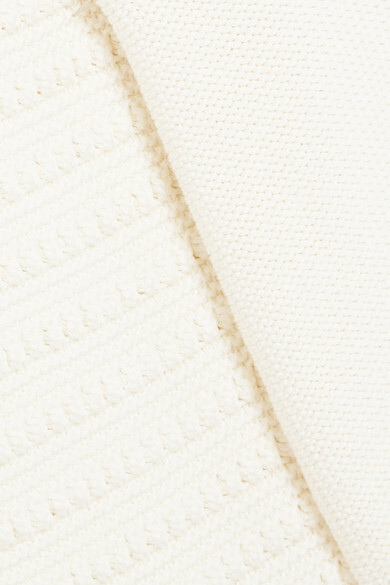 It's woven from cotton with a chunky handle and has a slightly loose fit. 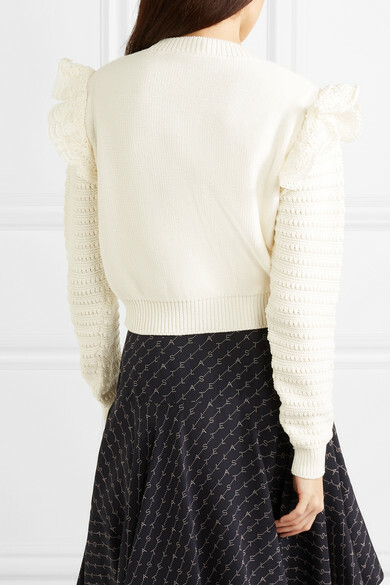 The ivory hue makes it so easy to pair with skirts and pants you already have in your closet.